Having hit gold with its hugely successful Ultra range, Samsung is all set to prove there's more to its waif-like models than meets the eye with the U700. First glances soon reveal that the new addition shares the same gene pool as the popular U600, with its sleek proportions and slide action; but look a little deeper and you'll see a wealth of functionality positively bursting out of the menu screen. Not least among these is support for HSDPA high-speed 3G mobile data, and video calling - all crammed in to the Ultra's thinline 12.1mm-thin dimensions. Like its U600 stablemate, the front of the phone is dominated by the large 2.2in screen, made to look all the bigger thanks to the high-gloss finish around the screen and navigation keys. You best keep a cleaning cloth handy, though, as the mirror-like surface is a magnet for greasy fingerprints. Unfortunately, the simple silver looks are largely achieved through plastic materials, and although this keeps the weight down to 86g, it also makes the handset feel slightly flimsy in use. The slide action is relatively smooth, although there's no handy ledge to push up onto when opening, which not only leads to more grease marks on the screen but also increases the possibility of coming into contact with one of the touch-sensitive buttons and activating a function by mistake. Indeed, one of the main sticking points with this handset is the nature of the touch-sensitive buttons. The close-set layout of the Context buttons to the Video-calling and Contacts shortcuts that lie beneath them will be a problem for the fatter-thumbed user, and in general most people can expect to become familiar with the Back button after they've inadvertently whizzed through several menus in one action. In contrast, the navigation wheel works like a dream to scroll through the main menu in a similar way to the ubiquitous iPod, and can be used both clockwise and anticlockwise. In the Vodafone U700v tested here, there's plenty of options relating to the operator's services including Mobile TV (a subscription-only service) and Vodafone live!. The downside is there's little you can do to customise the menu away from the trademark red and white. If you're looking to enjoy the wonders of Vodafone live!, you're in an excellent position to do so as the U700 is not only 3G but also HSDPA compliant. This means that users in areas of HSDPA 3G coverage will be able to take advantage of speeds up to 3.6Mbps. Other networking features include an RSS-feed reader and an email client with support for up to five POP3, SMPT or IMAP4 accounts. As usual, there's the option to download just the email headers (if you want to cut back on transfer time) or the full message, and you can set your phone to go online and check for mail at regular intervals. Moving on to multimedia, along with a VGA camera for video calls the U700 boasts a 3.2-megapixel auto-focus camera capable of taking snaps up to resolutions of 2048x1536 pixels at five quality settings. Both portrait and landscape views are supported, although when used in the more traditional horizontal style users should be careful not to press the volume rocker as it falls directly under the lower supporting thumb. This will flip the screen and cause no end of confusion. Photos themselves are a mixed bag. The auto-focus is much more effective than previous models at eliminating shaky images, and detail is very good. However, there is a tendency to over-expose, especially in bright conditions, so as a result colours can lack vibrancy. However, this really is being slightly pedantic as on the whole the U700 puts in an admirable performance - which is more than can be said for its QCIF 176x144 video recording capabilities. The included music player is relatively basic but does the job. Users have the option of accessing tracks according to author or album, and can also organise their music into playlists. Unfortunately, though, there's no built-in FM radio, but the inclusion of a MicroSD card slot supporting up to 2GB means you can load a fair amount of tunage for the commute to work. Transferring tracks is straightforward, with the easiest (and quickest) way still being to use a card reader to drag and drop files from your PC onto the MicroSD card. Samsung has also included a data cable and copy of its PC Suite 3 in the box, so you can hook the U700 up to your computer. Do this and you'll be presented with the choice of two modes: Media Transfer Protocol (MTP) or PC Suite. Choosing MTP allows you to sync the handset to your computer's Windows Media Player, while PC Suite presents a number of file management options, from importing contacts to managing music. Audio quality using the bundled headset is par for the course, and as usual features slightly more prominent high-end sounds than bass. There's no universal port so you can't just plug in any old set of cans, but there's no reason why the included set shouldn't satisfy most users. Getting down to the real nuts and bolts, Samsung has bestowed its OPUS (Optimized Power Usage Solution) technology on the U700, helping the handset to achieve a respectable three days' battery life on average. Call quality is also excellent, although texting can be a bit labour-intensive on account of the number of steps required to send. 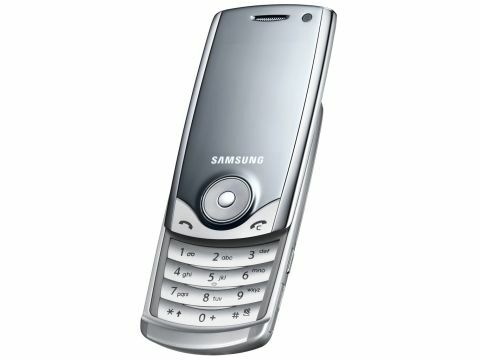 It's difficult to wholeheartedly recommend the U700 as there are so many little niggles about the general 'user experience' - but that said it's also hard to discard as it does have the bonus of 3G HSDPA and video calling compared to other in the Samsung Ultra II range. If you like to browse the internet, chat face-to-face and couldn't live without checking the half-time scores, the U700 is definitely for you. But if you're after a meatier handset that maintains the wow factor you may want to look elsewhere in the Ultra family.